Vitrified translucent porcelain suspension lamp. Single or double versions. 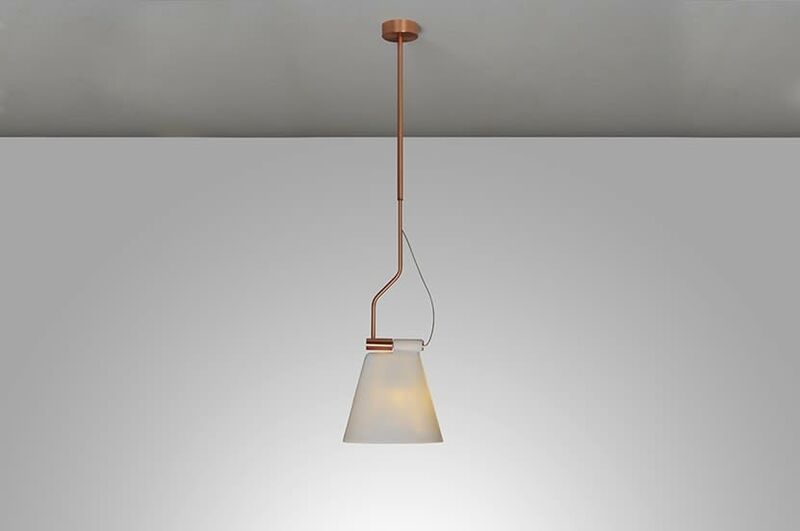 Available in texturized matte white with copper fittings. A soft glow around it, and direct light below. LED light source.